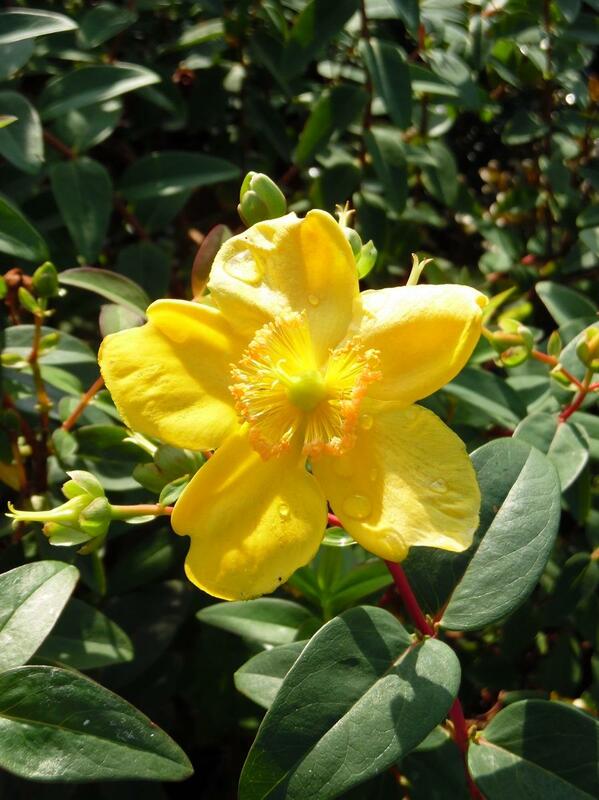 Dense, evergreen, ground cover shrub with dark green leaves. 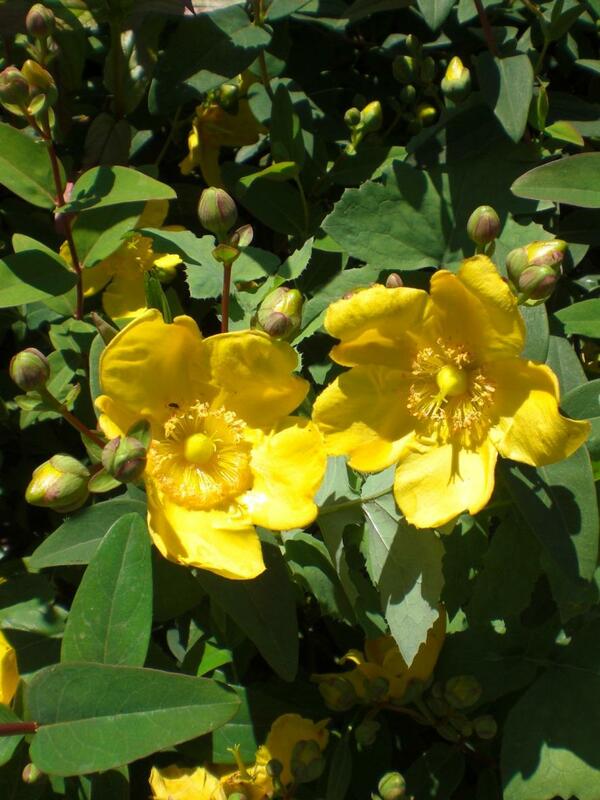 Produces bright yellow flowers from mid-summer. Good ground cover, tolerant of all soils and sun or shade. Hardy.